Endress+Hauser, Angus Measurement Services, TechnipFMC and Vector Controls partner to bring added value to the oil and gas industry. Endress+Hauser is pleased to announce the alignment of partnerships with Angus Measurement Services, TechnipFMC and its Authorized Service Provider, Vector Controls. The automation companies will collaborate to bring added value to the oil and gas industry, assisting customers with transition to the digital oilfield. The companies’ combined strengths and expertise will provide oil and gas customers measurement certainty, better operational performance to enhance revenue, improved safety of operations, regulatory compliance and predictive maintenance, lowering the total cost of operations and optimizing the measurement and management of our customer’s gas, oil and water resources. “It’s the people that make the difference. Their understanding and years of experience are enablers that generate revenue and create value for our oil and gas customers and their shareholders,” said Hoover. 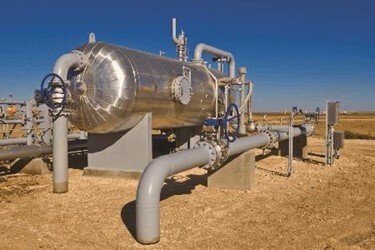 For more information, visit www.us.endress.com/angus-measurement. We are a Measurement Company that specializes in the fabrication of Liquid Hydrocarbon Custody and Allocation Measurement Systems. Angus Measurement Services, LP is the industry leader of high quality measurement systems. We have been providing industry leading flow technologies, innovative measurement, and flow automation products, and services since 1998. Our measurement systems include: Crude Oil Custody Transfer Measurement Systems, LACT / ACT (Lease Automatic Custody Transfer / Automatic Custody Transfer) Systems, natural gas liquid measurement skids, Crude Oil Sample Systems, and Provers. Vector controls and Automation Group was formed with the customer, in mind. We have partnered with the top manufacturing brands in the industry to offer complete, turnkey superior solutions. No application is too complex for Vector. We are committed to helping our customers solve the most complex measurement, control, automation, and analytical problems. We have experienced application specialists in our Instrumentation and Automation, Analytical Solutions, Valve and Valve Automation and Technical Services divisions to support all process applications, controls & automation, and service needs. With Regional Support Centers and professionals located throughout Texas, New Mexico, Oklahoma, Arkansas, Kansas, and Missouri, Vector strives to achieve and provide the highest level of customer service along with the industry's top technical professionals.